Kids are learning more than ever before, and they are learning faster. Accessibility to applications in every part of our lives has enabled a feeding frenzy for the brain. Back in the day, kids learned to read when they entered school. Now, kids are picking up on reading skills much earlier, thanks to fun and entertaining apps that instruct in disguise, keeping kids smiling, tapping and playing, all at the same time.Iggy Learning has created a fun musical app called Jamaroos Musical ABCs that engages young users to tap and listen to sounds of characters and words, learning the alphabet and learning to read, at the same time. 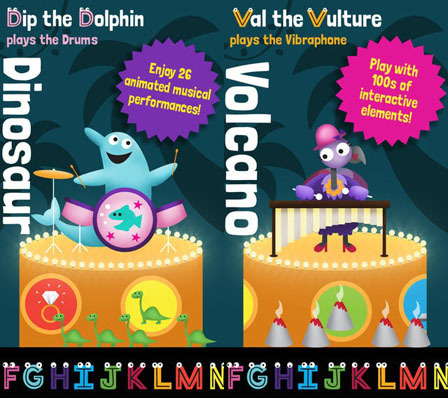 Jamaroos Musical ABCs combines a colorful collection of animals, each representing a letter of the alphabet and playing an instrument, with music and words. 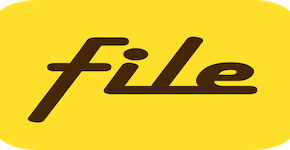 The name of the animal and the name of the instrument both start with the featured letter. When you reach the main screen, you’ll find a round stage upon which the animals perform. At the bottom of the screen lies each letter of the alphabet, in a horizontally scrollable line, waiting for you to drag onto stage. Once the letter lands on stage, the animal associated with it appears with instrument in hand. Tap on it and listen. As the music plays, kids are encouraged to tap on various moving object that dance across the screen to hear something new, or to simply see them disappear. Around the stage are different items that start with the same letter. Tap on those and see multiple copies of that item randomly fall onto the screen along with the word. Tap on each of those and hear the word spoken, along with multiple random sounds that evoke giggles and delight. Every once in a while a hidden surprise breaks up the expected, so kids stay engaged and fascinated. Sounds and music help supplement the phonetics embedded in teaching users letters and words. You hear the words, see the letter and engage in an activity that stimulates multiple sensory inputs. Combined, the effect is monumental. For parents, it’s a fun, yet educational way to keep kids entertained; and another venue for teaching the alphabet. For kids, it’s a delight for the senses. 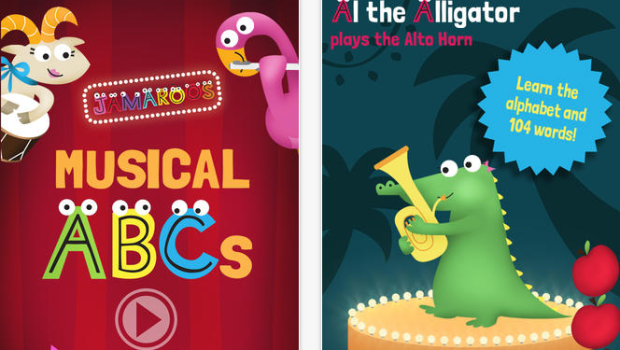 Jamaroos Musical ABCs features a great informational section that parents can use to make the most of this app with their kids. 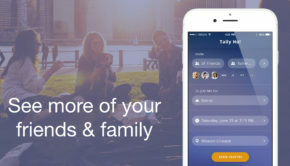 It lists several ways to use the app to further enhance the experience and takeaways. 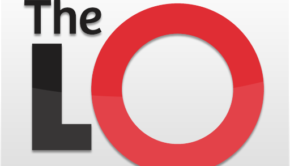 I really could not find much that I did not like about the app or much lacking. I suppose once the child has gone through all letters of the alphabet several times and has listened to the same musical melody enough times, they may grow bored. However, maybe the app updates this along the way, so the collections are constantly changing, along with animals and instruments for each letter. 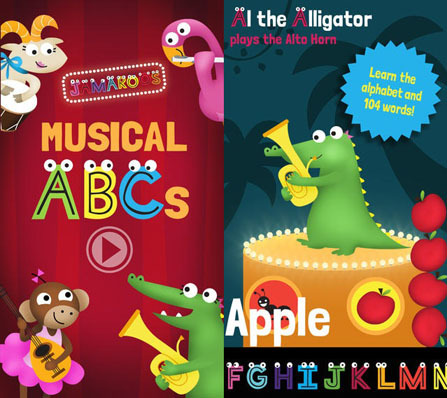 Otherwise, Jamaroos Musical ABCs is a great app to have as you tote your toddler around town, to keep them busy, engaged in education and happy.